Looking for a solution that delivers unified performance management for Asterisk, Avaya, Cisco, Microsoft and Alcatel-Lucent? Inc Solutions helps you successfully monitor, measure and manage a multi-vendor UC portfolio. As you move to Unified Communication your environment increases in complexity with the introduction of new applications and platforms. This complexity makes a single, multi-vendor management view of performance critical. Inc Solutions can give you an end-to-end view of your voice and Unified Communication quality of service to ensure technology success, optimize IT operations, help you avoid expensive outages, and deliver the highest quality user experience. However large or small your business, and whatever your industry, Inc Solutions helps you achieve real time performance management of your Unified Communication infrastructure across multiple technologies, vendors and applications. Manage your own UC deployment or benefit from Inc Solutions assuring your service provider’s performance. 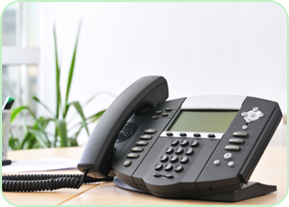 Inc Solutions PBX runs on standard hardware, making it significantly less expensive to deploy than proprietary solutions. Our Fax Server is a complete and highly economical, easy-to-use fax server.